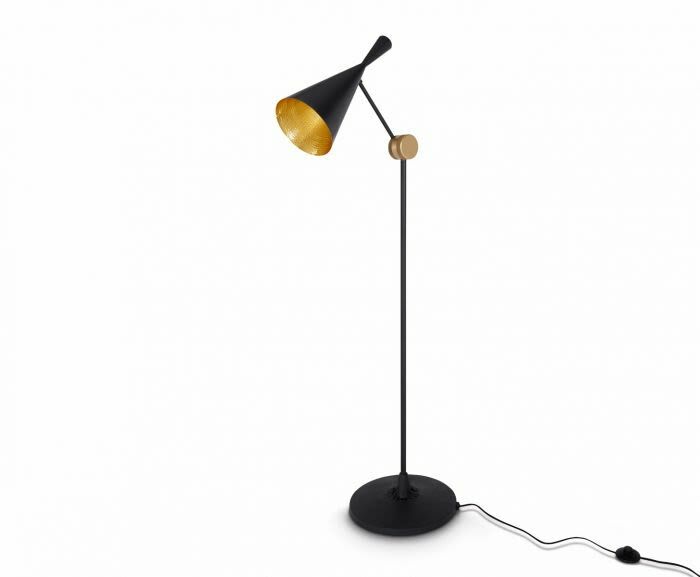 A variation on the famous original Beat Light, this floor standing version on a slender articulated arm can be adjusted to direct the light beam. Solid brass componentry and iron sand cast bases create an iconic footprint for any interior. Beat Floor is also available as a table light. Our range of Beat lights, recognised in homes, restaurants and hotels the world over is an exercise in expressive minimalism. The original design was inspired by the sculptural simplicity of brass cooking pots and traditional water vessels on the subcontinent. The pendant lights are crafted from solid sheets of brass, available in four different silhouettes, Wide, Fat, Tall and Stout, and in black, white, grey and brushed brass. The Beat collection also includes a wall light and floor and table lights. "